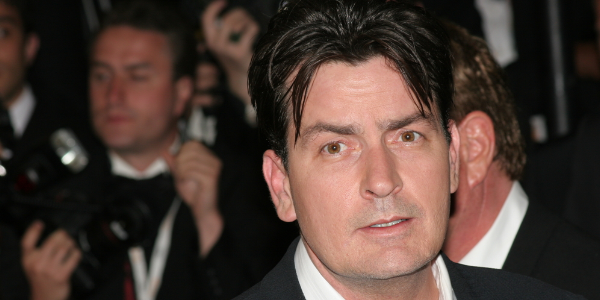 Charlie Sheen Eligible for Unemployment? I’ve been watching the Charlie Sheen media storm like many of you I woke up today to hear he broke the Guinness Book of World Records for the fastest time for reaching 1 million followers on Twitter – he did it in just over 25 hours. Move over Ashton Kutcher and Oprah, there’s a new tweeter in town – and he’s a bad boy! What if Charlie was YOUR career coach, America? I have a million questions I’d like to ask Charlie Sheen from a career coaching perspective. I’m not judging here – I’m honestly fascinated. Most of us will never have his fame or be in his situation – we can’t begin to understand his professional and personal life. So, it poses some very thought-provoking questions. Here are the top 10 questions I’d ask when he joins us on our new social TV show, Career Reality. Do you plan to file for unemployment? How do you feel about all the people who lost their jobs because of you? What advice would you give the 14 million people who are out of work right now and don’t have your personal brand or money to tide them over until they find a new gig? What would you tell the four million people who have been out of work for over two years and are now struggling to get employers to take them seriously? Do you believe in typecasting as a career move? What does it take to survive what you are going through? What does a typical day in your life look like right now since you are unemployed? Do you think career and personal life should be separate? Whose job and life would you want if you couldn’t be you anymore? What are you looking for in your next job/career? Charlie, if you are reading this, then join us this Friday, at 1:00 PM ET, so we can Skype you in and get your answers first-hand to the questions above. For the rest of you, tell us your thoughts in the comments below. What would you ask Charlie Sheen on our talk show? Do you agree with his current approach to his unemployment?